I have stumbled onto a new Christmas tradition that I'm embracing with full force: the story of The Elf on the Shelf. The Elf on the Shelf comes as a boxed set - the book and your very own elf. Or, just buy your own elf and verbally share the story! 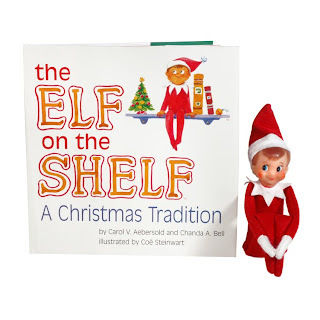 click the link to buy the box set and to register your elf at the North Pole! Also find recipes and online games.